Our glass restoration services are just a phone call away. Our glass restoration and glass renewal services often save a substantial amount of money when compared to glass replacement. 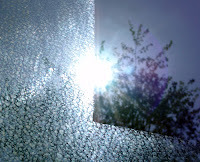 Commercial window glass restoration and glass scratch removal are an art form that we have perfected over the years. We have the knowledge, the correct tools, and the proper equipment to perform a wide variety of repairs to glass surfaces. We can effectively remove hard water stains, mineral staining and scratches from glass. 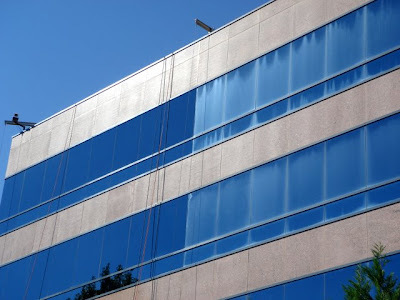 Our commercial window glass restoration services can be performed at the ground level, or we have the equipment and knowledge, to perform high rise glass restoration and glass stain removal services. The Glass ReSurfacer Systemproduces a highly polished and reflective finish on glass. Our methods will not scratch or burn the glass; rather, they will leave the glass looking brand new. After restoring your glass, we apply a protective coating that will last five, 10 or even up to 20 years depending on the product selected. This protective coating is The Glass Defender Series. protected with Glass Defender MD. in keeping buildings looking new all year around. Never Worry About Glass Stains Again, Ever! Reapplication of Glass Defender glass protection every five to 10 years depending on the product selected after the restoration process.